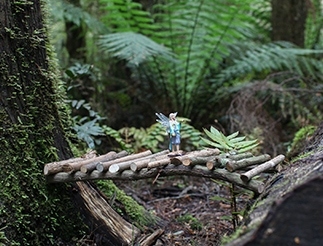 Looking to go camping in Sydney this season? 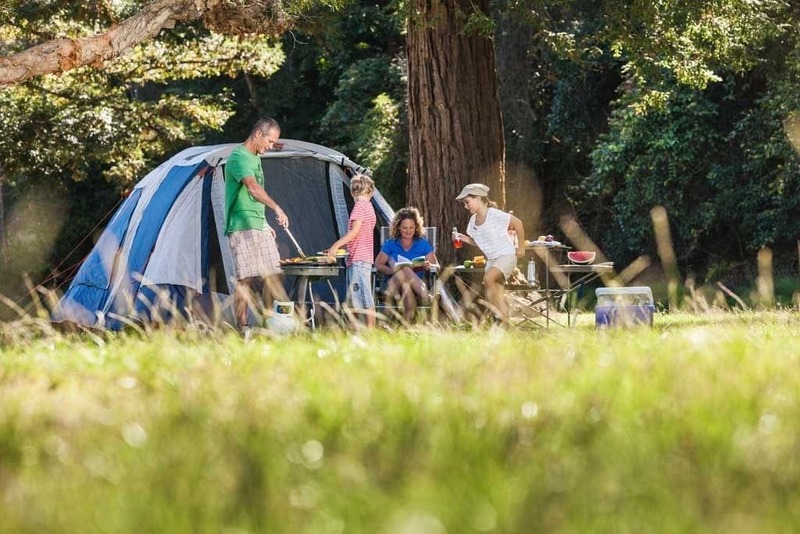 Autumn is a great time to go camping, and camping is one of the best ways to explore Sydney’s hidden pockets of wilderness – on a budget. So, get kids off their digital devices and head to the closest national park for an autumn weekend getaway. 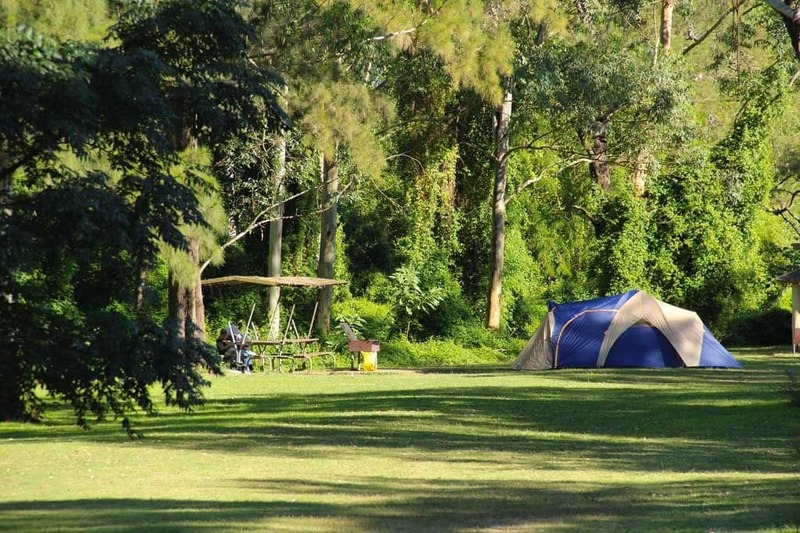 If you’re after a truly authentic Australian camping experience, the Euroka campground, near Glenbrook on the eastern side of Blue Mountains National Park, is near the beautiful Nepean River. Try one of the many walking and cycling tracks or enjoy a barbecue or picnic lunch. There’s also a breathtaking lookout for those who prefer to take it easy and enjoy the surroundings. Bents Basin is an open, grassy campground bordered by trees on one side and the actual Basin on the other. It’s a large open area so perfect if you’re keen to bring your caravan or trailer along. Once you’ve set up camp you can relax by the Basin, take a walk along the easy Caleys lookout track, go for a paddle in the water or try your hand at fishing. 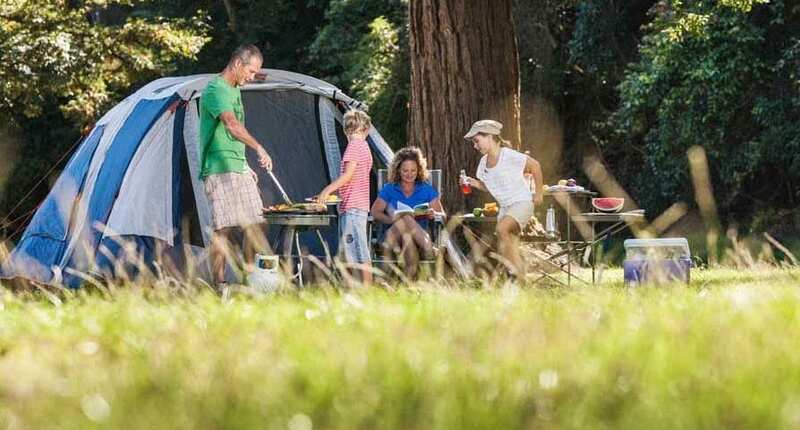 There are excellent facilities with a full camp kitchen, toilets and a hot shower – ideal for families who don’t want to leave any of the creature comforts at home. 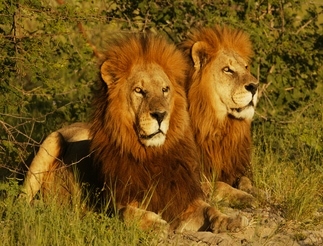 Cattai campground in Cattai National Park is a great place for a family weekend camping adventure. Kids will love the wide-open space that is great for bike riding, playing and running, plus the campground is right near the Hawkesbury River, meaning fishing, canoeing and kayaking opportunities are all nearby. There’s also the historic Cattai Homestead only a short walk from the campground if you’re keen to explore the history of the local area. 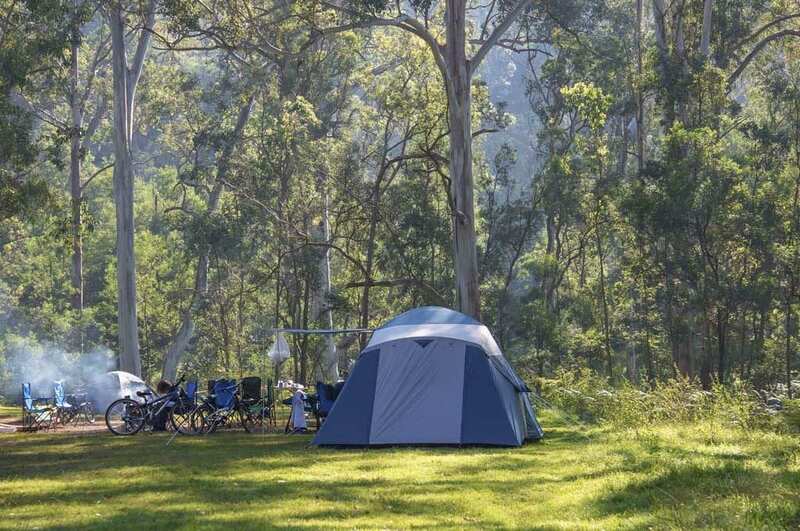 The Basin campground is the only spot you can camp in Ku-ring-gai Chase National Park. It’s a large, grassy area that overlooks Pittwater. There are great facilities including a picnic area, sheltered beach and an inland lagoon. Pitch your tent in a shady spot, enjoy a bike ride or swim and challenge the kids to spot the local wallabies and kookaburras. Putty Beach campground is the largest of Bouddi National Park’s camping areas. Located near Killcare, the campground is easily accessed from Gosford and Sydney. The campground sits just steps from the Putty Beach and offers activities aplenty. Bushwalk through the eucalypts or along one of the coastal tracks, visit the rock platforms in the area, say hello to the resident brush turkeys and enjoy a spot of fishing. 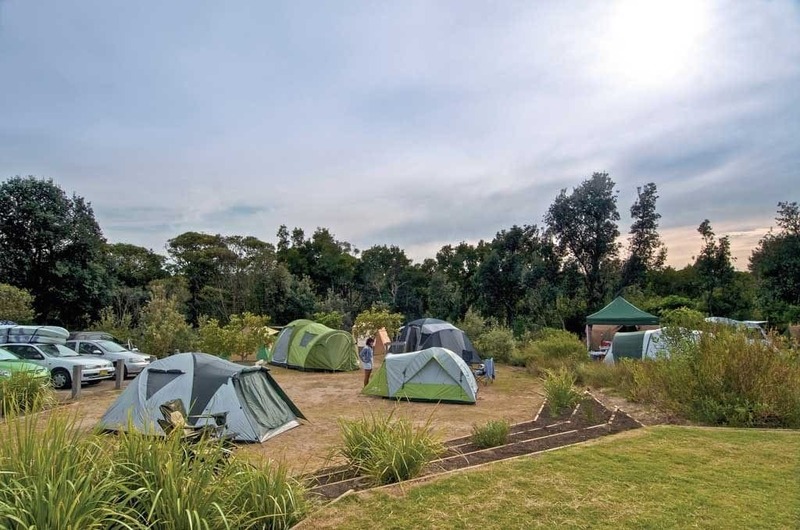 Freemans campground, in the heart of Munmorah State Conservation Area is nestled in bushland, with ample space for caravans and trailers as well as tent camping. The long, sandy stretch of Birdie Beach is just a short walk from the campground and fantastic fishing and surfing spots as well as bushwalks are all close at hand. If you’re there during the winter months, you might just see whales as they make their way along the coast. Bonnie Vale campground in Royal National Park is a family-friendly campground located between Bundeena and Maianbar at the park’s north end. This popular riverside campground is known for its large sand spit, which makes it a great swimming spot. Go fishing at nearby Jibbon Beach, enjoy a barbecue by the sea or hike along Royal National Park’s long list of walking tracks. On weekends, you can even hire a kayak and paddle in the Hacking River.